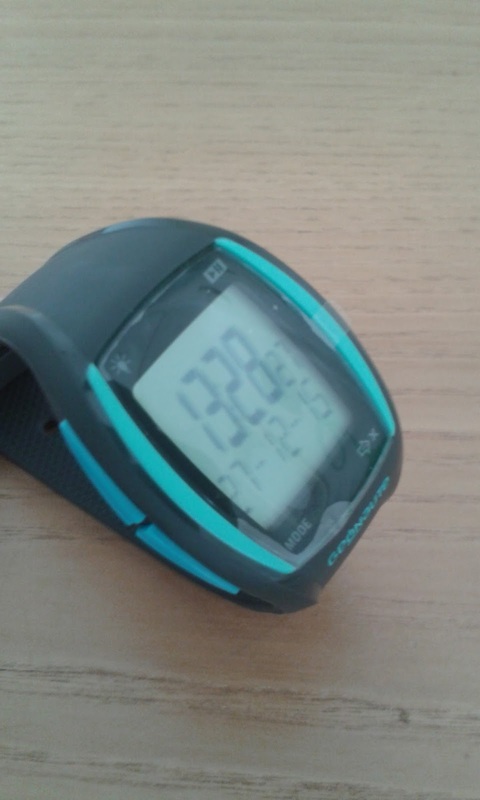 Santa Claus (aka Mam & Dad) brought me a nice running watch with heart rate monitor. It's a very useful device that measures the heartbeat while running through a belt to be worn around the chest. The display shows different data, such as the maximum heart rate, information about calories and of course the time. The function that I find particularly useful is the percentage of maximum rate, as all over the last 6 months I've been training my aerobic endurance to increase my resistance in the medium-long distance (10km). My maximum heart rate is 181, so my training zone for the aim I set should be between 80% and 90% of this value (according to some theories), but I prefer to take into consideration the higher zone, between 90% and 100%. The watch helps me monitor my hear rate according to this parameter. This morning I ran 10 km in 49:22 (4:56 min/km) and I learned something interesting: I noticed that the first 1000 meters are quite stressful for my heart (it goes beyond 200 beats), but after 5 minutes the pace gets normal (around 80%). After the 7th km it reaches 100%, which is ok. The last 2 km the watch showed 101%, and during the last 500 meters, which I sprinted in around 2 minutes, the percentage reached the peak of 104. Now my (very hard) task is to keep the rate below 100% for longer distances, up to 21 km. Will our hero accomplish this mission?